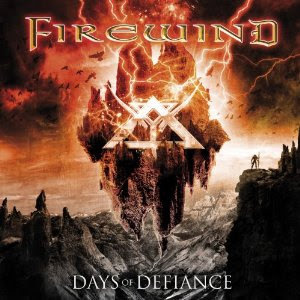 Hall of the Mountain King: Review: Firewind, "Days of Defiance"
Firewind has long been one of the steadiest, most reliable acts in the power metal genre. Despite guitarist Gus G.’s newfound stardom as Ozzy Osbourne’s latest guitarist, nothing has changed on the band’s latest record Days of Defiance. It’s not all about shred, though. On “Broken,” Gus delivers an acoustic riff with a slightly medieval feel over a bluesy rhythm section. He also provides some intricate acoustic interludes, the best being the opening of “Cold as Ice,” (thankfully not a cover of the Foreigner hit, but with occasional similarities in the synth sounds) which also delivers one of the more memorable melody lines on the record. 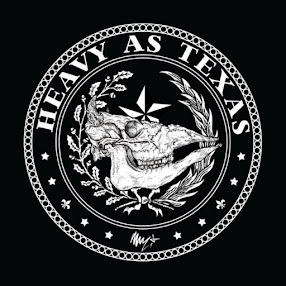 He ties it all together in the instrumental “SKG” which has some blazing speed metal pieces and some softer, smoother moments that may remind listeners of shred instrumentalists like Joe Satriani and Steve Vai. The song also serves as a showcase for keyboard player Bob Katsionis. Normally I’m not a big fan of keys, but I generally like how Firewind uses them. While Gus is the founder and driving force behind the band, the rest of the musicians aren’t exactly slouches. It’s a solid effort on all fronts, including from newcomer Michael Ehre on drums. He adds a little more pop in some of the more aggressive moments on the record. Vocalist Apollo Papathanasio delivers another top-notch performance on his third outing with the band, sometimes moving into Jorn Lande territory, and certainly showing a meaner side to his vocals here and there. As I said at the beginning, Firewind has emerged as one of the most reliable acts in the genre, and this may just be their best effort to date. If you like power metal, you’ll love Days of Defiance.